Originally published: New York: Harry N. Abrams, 2009. Greg's dad, Frank, is on a mission. 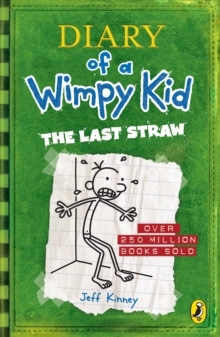 A mission to make this wimpy kid... well, less wimpy. All manner of 'manly' physical activities are planned, but Greg just about manages to find a way out of them. That is until military academy is mentioned, and Greg realises that he's going to have to come up with something very special to get out of this one... 7+ readers all over the world love reading about what scrapes and schemes Greg gets up to in his hilarious diaries. Full of pictures and giggles, they are the perfect gift, even for reluctant readers.